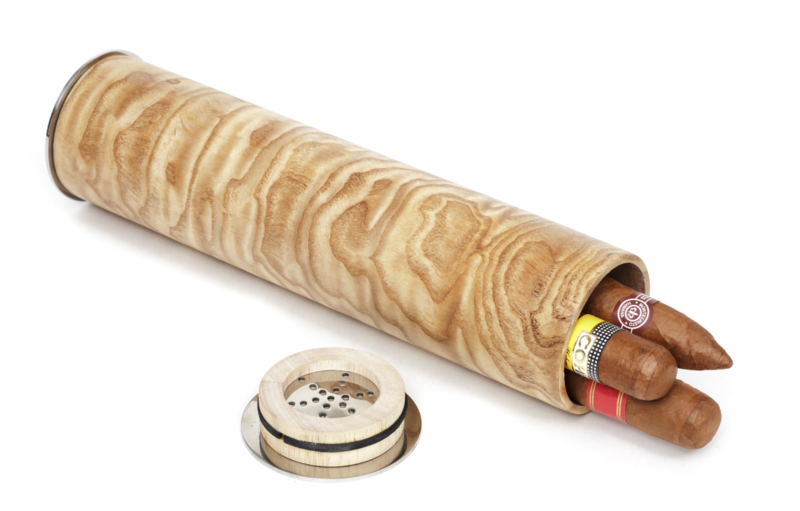 Really spoiling gift for the cigar lover. 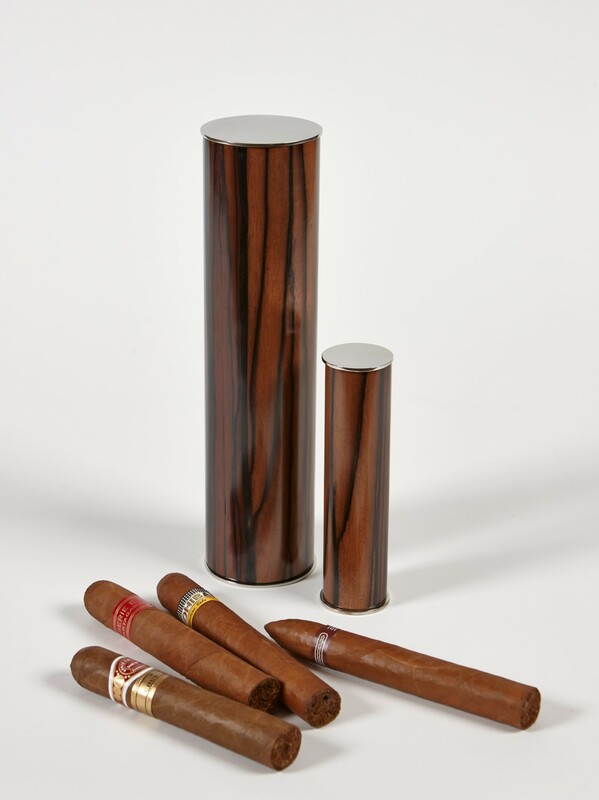 Stand it up or lie it down, this cigar humidor is made of very luxurious wood and is very tactile. 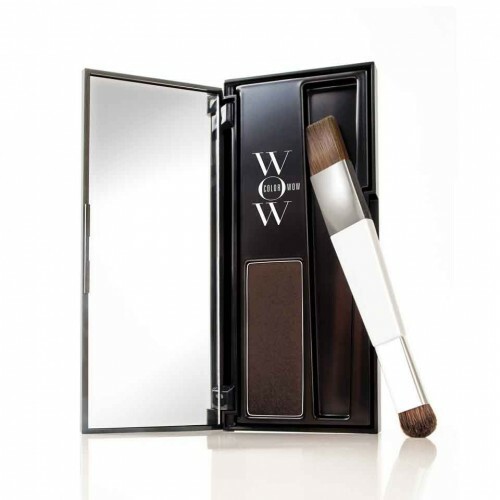 It will look absolutely stunning on his desk or on a coffee table in your drawing room. 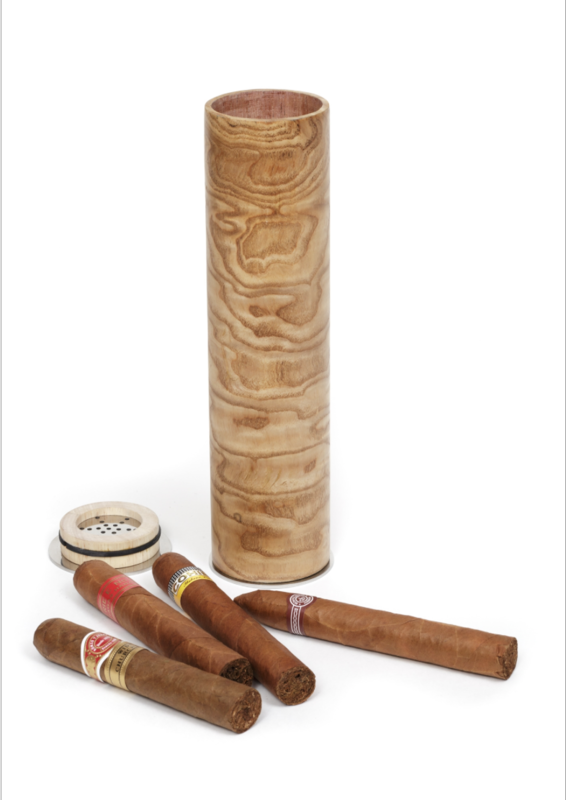 It is perfect to have instead of a humidor box which takes too much space on a table or desk. 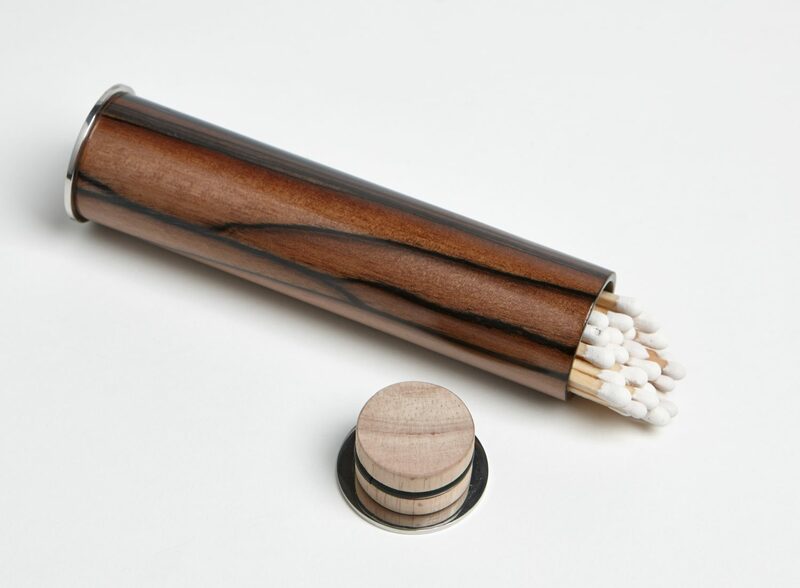 It is made of Royal Ebony or Tamo Ash and is internally lined with Spanish Cedar wood. 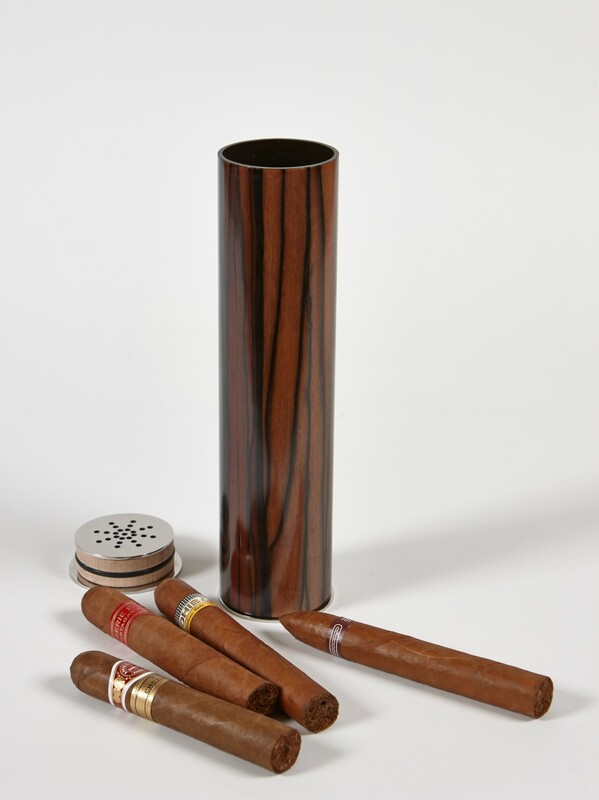 There is a Cigar Spa humidification system to maintain the optimum moisture and atmosphere for your cigar storage. 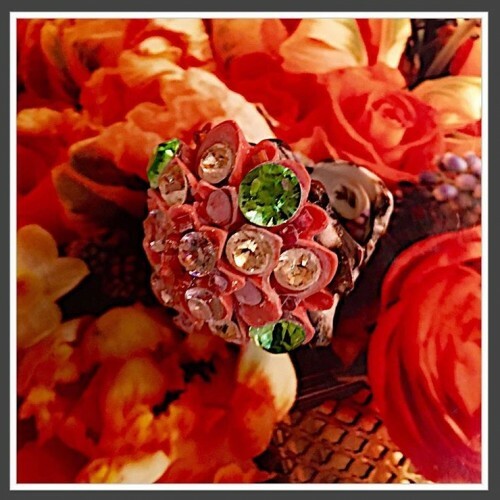 (20cmx6cm) (£725). Either wood are very beautiful, choose according to where it will go. 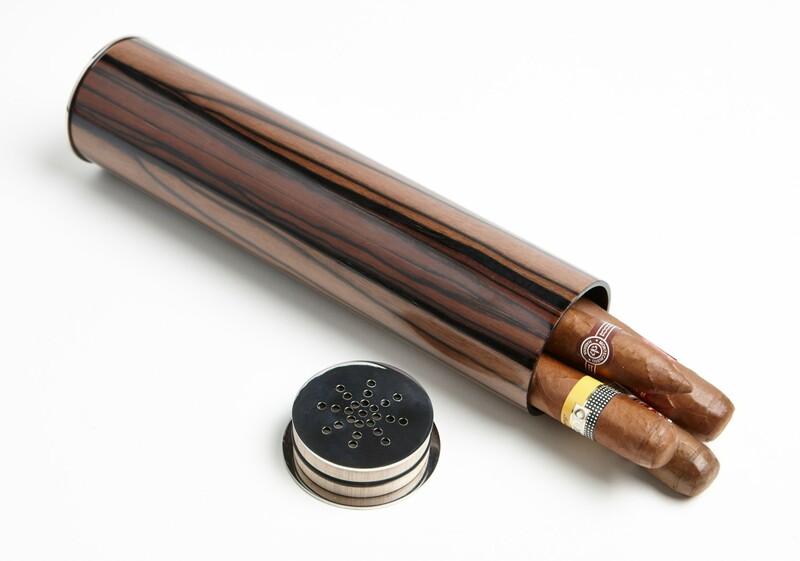 This is a really beautiful and ultimate spoiling present for the cigar connoisseur in your life.